Our villa in Bali is built on a hill near the village of Ungasan what lies on the bukit Peninsula, which is the southernmost piece of Bali and is surrounded by typical authentic Balinese villages. 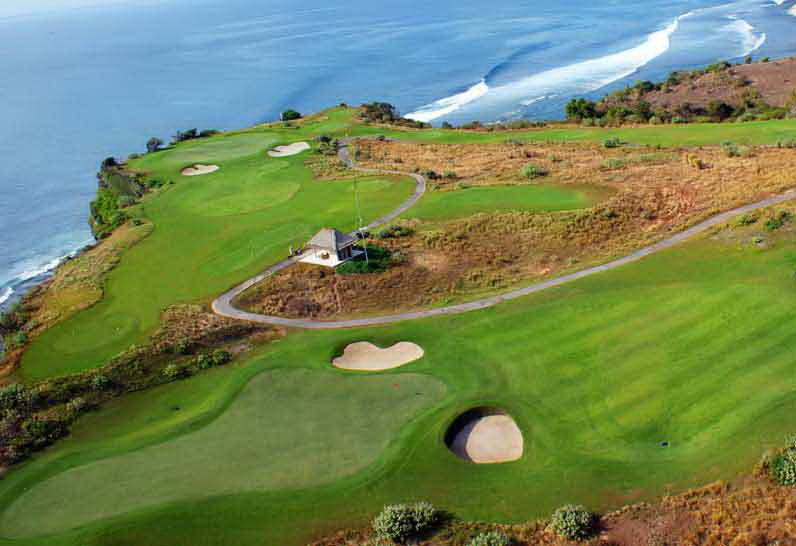 The Bali International Airport is about 20 minutes away from the villa and the busy Kuta on 25 minutes. It is very suitable as a tropical stay from where from various trips can be made about Bali. 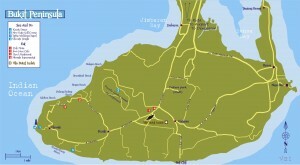 The villa is centrally located with Uluwatu, Jimbaran and Nusa Dua on a maximum driving distance of 6 a 10 car minutes. Also just 10 minutes away are some idyllic white sand beaches, including Balangan, Dreamland, Bingin and Suluban beach also the famous beach of Padang Padang (surf spot No. 1) is located here. These hidden white sandy coves are great for surfers and non- surfers, it is a big difference here with the busy beaches of Kuta. And for the Golf lovers there is a superb 18 hole Golf course at less than 10 minutes away from the villa.